Discussion in 'iPhone and iPad Games' started by CygnetSeven, Nov 6, 2014. Interesting game play; you may have to use your noggin! What are you waiting for? Support this! In case you hadn't guessed, I like it. Same here, I couldn't believe it didn't have a thread. Dave Marsh and Korigame (and Slewis!!!) are raving about it. I'll grab it tonight. In a way, this game is like Threes! This looks absolutely awesome! Thanks for creating the thread CS (and mentioning it elsewhere ). Bought. Excitable boy, they all said! Hello, my name is Antonio Uribe and I'm a Mexican game developer. 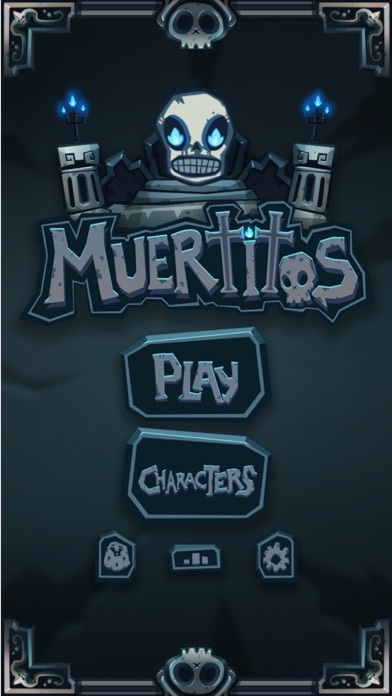 I'm the cofounder of HyperBeard Games, the studio that made Muertitos. 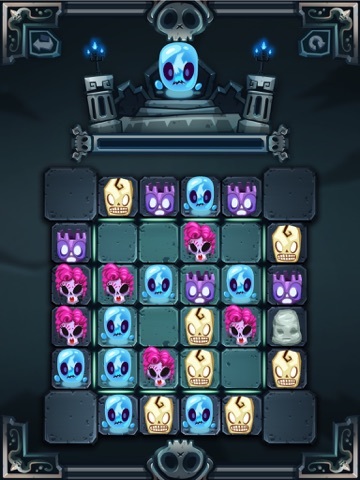 Muertitos is a matching puzzle game that adds thinking ahead and planning to the genre, it was designed in a way that seems easy at the beginning but gets harder every move you make. 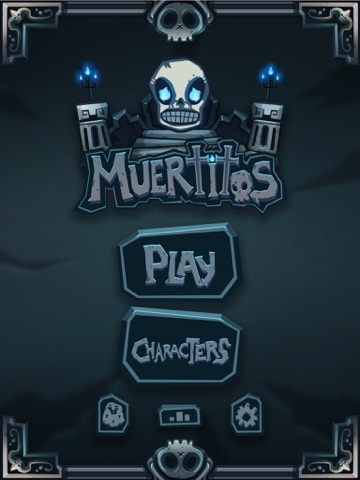 The game was born out of our love for the 'Día de los Muertos' (Day of the Dead). We included some aspects of our culture in the art of the game, most of the time you play with pieces that look like Mexican 'calaveritas', they are super interesting and colorful. 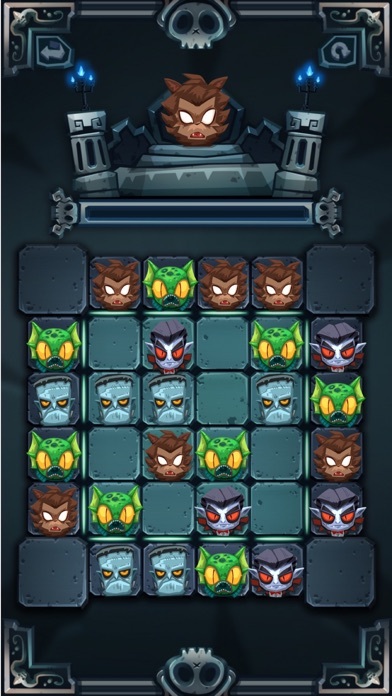 The game is played in a 4x4 grid where the player must push in pieces in order to match them with those that are like them and make a lot of points. 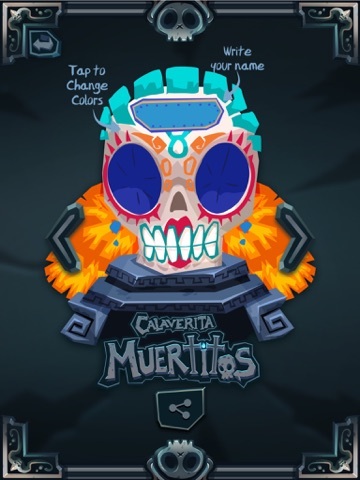 The player starts with 4 different 'calaveritas'. The player unlocks more as he plays. 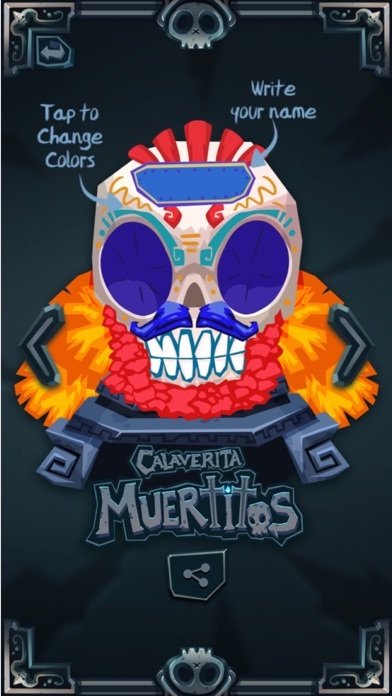 Muertitos has 2 different sets of art, the first is inspired in the 'Día de los Muertos' and the second is inspired in popular Halloween monsters. 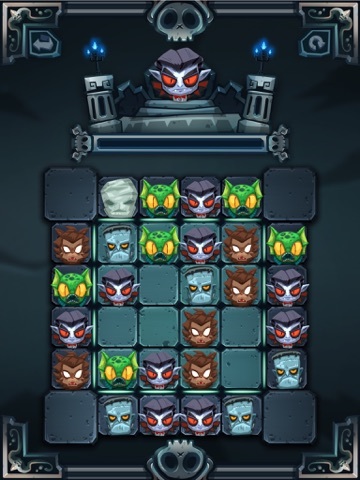 This was done so the player decides which pieces to use and to unite this two holidays. The game costs $0.99 USD, this so we don't have to bother the player with ads or selling time or those horrible things free-to-play games do. We are going to be constantly adding new skins (sets of art), we are going to gift some sets and others are going to be sold in the 'characters' section of the game. The studio is brand new, it was born at the beginning of 2014 with the work of Antonio Uribe and Juan Pablo Riebeling. We have worked together for years in different game studios and we wanted to do our own games so we started making games under HyperBeard Games. A couple of months after that, Mario Carballo joined us, he started making our website and after that he helped us with the games. We have a couple of other games under our name, Bouncing Dude and Palabraz. Our first game, Bouncing Dude is a small endless game where the player needs to survive as monsters enter from the edges of the screen. 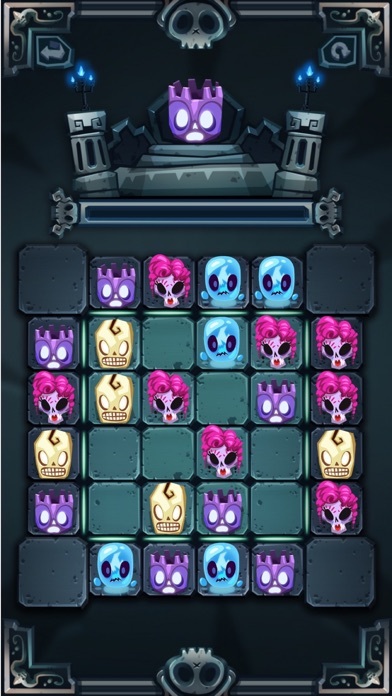 Is a tap to shoot with the character bouncing in the screen shooting away from the monsters. The score is calculated whit how many monsters you kill. This game has leaderboards, ranks and accuracy so we see who are the best players. This is all registered on Google Play Services and GameCenter. Palabraz is our second game, it is a spelling game based on common spelling errors in spanish. Palabraz was well received by players and press, this game manages to teach you while you play. It has more than 100k downloads and was #1 in more than 17 countries that speak spanish. In October 16 we released an update with music, sounds, a new level and a couple of surprises for the fans. Thanks in advance for your kind words, for downloading and sharing the game!! Grabbed 4FPWW6TNARHR. Thanks so much, this looks great! I just nabbed EMXT9TRMY7JP, so thank you guys very much! I'll let you all know what I think! Thanks again, great looking game! Just when I thought it was officially a week of games I wasn't interested in, along comes this gem. Like Darkin I would prefer a different theme to the Halloween ish one, but it's a great idea and what is there looks great. Edit: I see that new skins will be added, can't wait!! Very cool game! Colourful too, but that has been said. Id love to ser some challanges in the form of missions or something. Thats the only thing missing here - something to keep players with a sense of progression. Looks like this can be a Halloween game would have been perfect for a October release. Thank you very much for 9W3MKALR39W3 ! Just played one game and i feel sorry for not having paid for this gem. Very polished, super atmospheric soundtrack and a relaxed thoughtful gameplay makes this to be my GOTW, since my two other paid games got deleted within minutes. Just didn't spot my desire, but this one does greatly! All codes taken, but I'm still getting it as I'd rather support dev. Yeah, we started late and the time just wasn't in our side. How do you propose we tackle this? We are all ears! All the codes were gone, but i am so glad I bought this. Just when the match 3 genre started feeling stale, an unknown ndie Dev completely makes it feel fresh and unique. I would absolutely kill for an RPG puzzle hybrid by this Dev with this level of polish and puzzle mechanics.